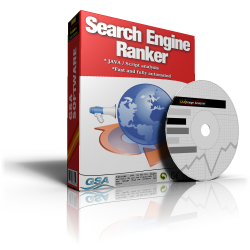 Search Engine Ranker is a web promotion software that automatically builds niche relevant backlinks to improve your search engine rankings. You can submit your website to different types of platforms, including directories, engines, social networks, article sites, blogs, forums, wiki sites, web 2.0 and many others. The software will automatically find new website platforms related to your keywords and is able to promote an unlimited number of websites. This software runs on auto pilot building quality links for your sites 24 hours a day and 7 days a week. 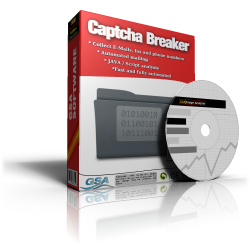 Captcha Breaker is an automated software to solve captchas. If you want to fully automate all your web promotion campaigns you need Captcha Breaker. It works perfectly together with Search Engine Ranker. This revolutionary breakthrough software effortlessly analyses and solves captchas for you. No need to type in captchas manually or pay captcha services to solve them ever again. Supports more than 600 pre-configured captcha types to solve. One-time purchase with no subscription and FREE life-time updates. SEO Indexer is an automated solution to get your site and backlinks indexed quickly. The software will get your pages indexed by search engines like Google and Bing within minutes, no need to wait for their bot engine to visit your site. It is used as a companion to Search Engine Ranker and Captcha Breaker so that all backlinks created are automatically sent and promoted by SEO Indexer. This highly increases your chance to get all your pages and links crawled and effectively indexed by search engines.